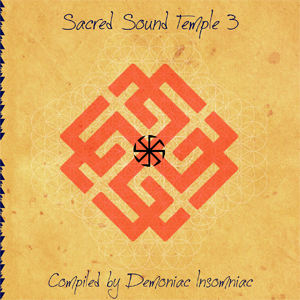 Sacred Sound Temple 3 is the final chapter in a trilogy of free compilations commemorating five years of Active Meditation Music. Compiled by Demoniac Insomniac, this release is a gift to all the fans who have supported the project in the past. Here, as before, the focus is on night-time psychedelia, this time ranging into the higher BPMs to round out the story that began with the first chapter and continued with the second. Feel free to share this music with your friends and write us feedback! Om Namo Narayan! MP3 Download | FLAC Download | WAV Download · Download count: 9,748.